Halloween is such a fun time of year. 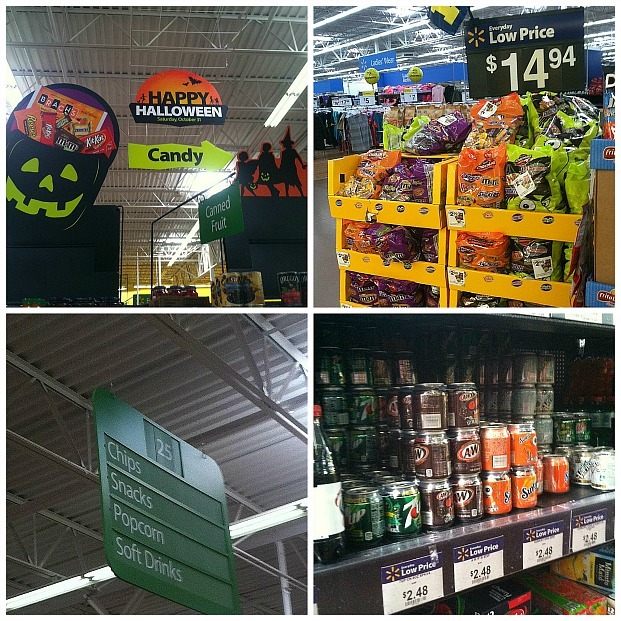 I remember when I was a kid all the excitement around trick or treating, parties and costumes. We usually waited until the last minute to put together our costume, using whatever we could find around the house or garage. The only rule was that you had to be able to run in the costume so you could make your way around the neighborhood faster! BOO’ing our neighbors as Halloween approaches has become a fun tradition. The first time someone BOO’d us we loved it. They taped a big white ghost to the door, rang the bell and left a bunch of goodies. By the time we opened the door they had disappeared into the darkness. It’s fun to try to remain anonymous – the trick is to run fast into the darkness. 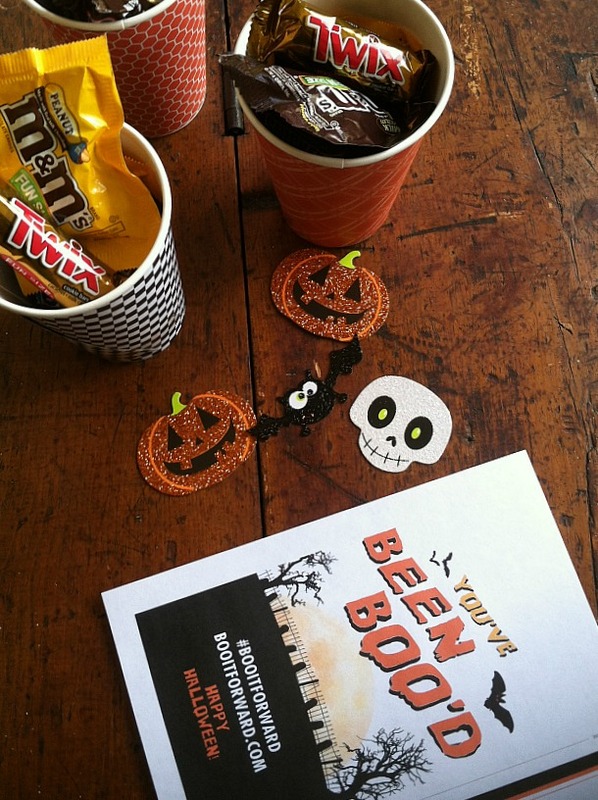 We came up with a fun way to present our BOO Kit this year. We added Halloween themed soda cans to the treats this year so I thought it would be fun to dress up a drinking cup with some Halloween paper. A fun straw is the finishing touch. I found the big bag of Mars Chocolate Favorites in Fun Size and the mini cans of soda at Walmart. You can print off this fun printable BOO card here which makes it super easy to put together. Also, don’t forget to enter the sweepstakes contest at the bottom of this post. Cut out this “We’ve been BOO’d sign”. You can make the cups by following these easy directions. I used standard size cups because they were easy to work with and I could cut two of the decorative paper sleeves from one sheet of large scrap-booking paper. We made quite a few in all different kinds of papers – you can also decorated with stickers. 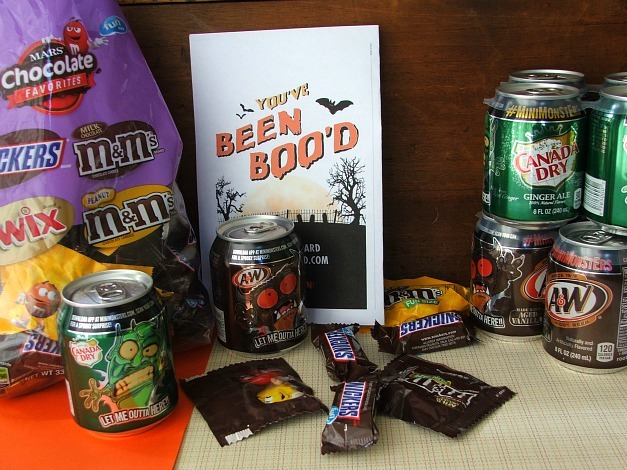 Candy & Halloween Themed Mini Soda Cans – I bought the assorted bag of Fun Size SNICKERS®, TWIX® and M&M’s® made by Mars. Create a Template for your cup size. The shape will look like this – no matter what the size. It is kind of a trial and error type thing. Use a piece of plain paper until you get the template the right size. Make sure the top edge of the paper stays right up under the edge of the cup for a nice neat finish. 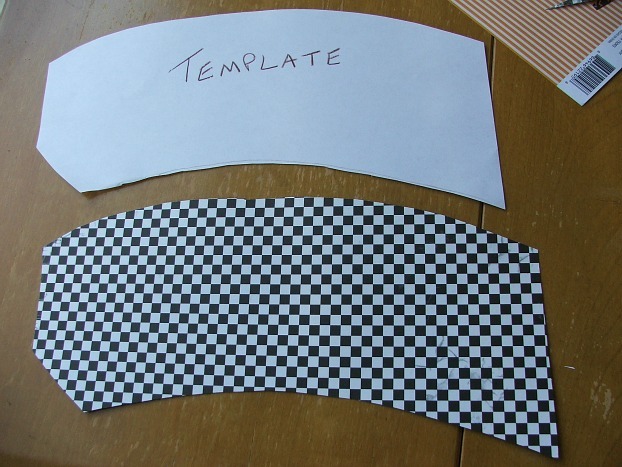 Cut the template about 1/4 inches longer than what you need so you have enough paper to tape together. 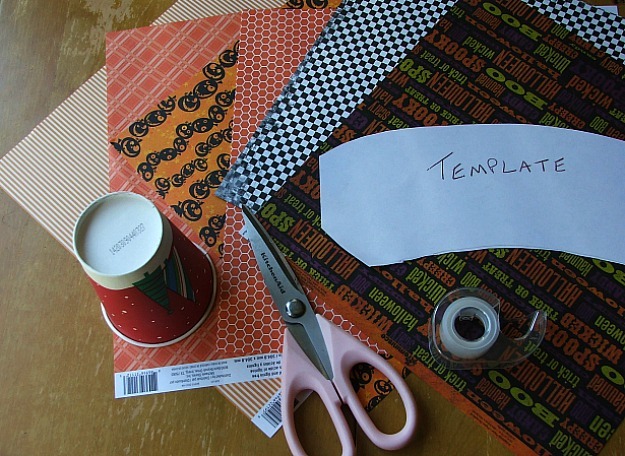 Once you create your template start cutting out the sleeves from your scrap-booking paper. Starting with the end of the paper that has the tip cut off – tape the paper securely to the top of the cup – just under the lip. Roll the paper around the cup making sure to keep the top edge under the lip. Tape the ends together. Trim off any excess paper so the cup sits nice and flat. 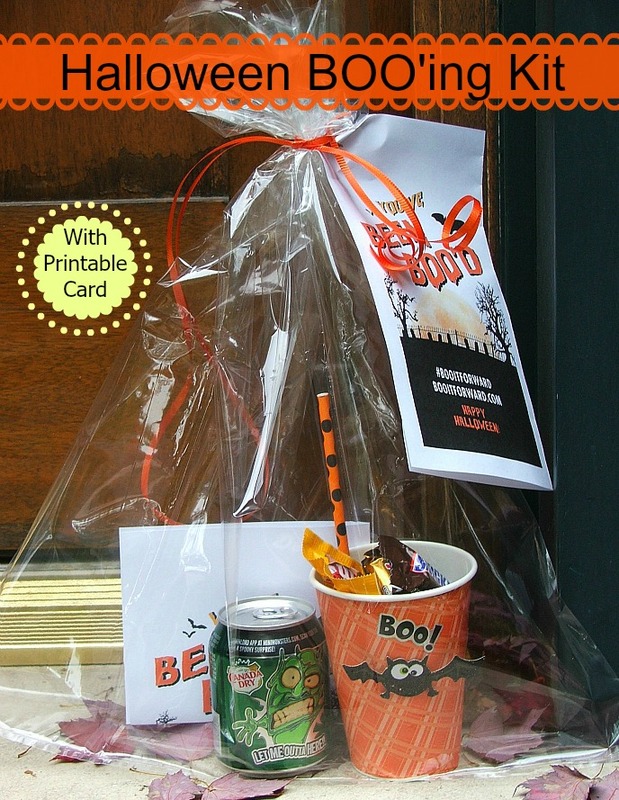 Then poke a hole in the upper left hand corner of the “You’ve Been Boo’d” card, run a piece of ribbon through the hole and tie it around the top of the gift bag – ready to go! These are pretty easy to make once you get the template right. Stuff a few with treats and start delivering them around your neighborhood. It’s the perfect warm-up for Halloween. Tell us about any family Halloween traditions that your family has in the comment section.